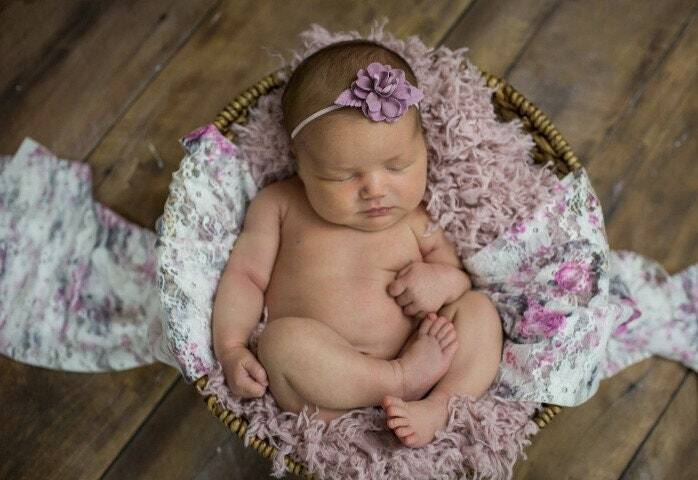 Stretch Lace Wrap in Pink and Grey Floral Print AND/OR Mauve Flower headband, newborn swaddle, newborn photo shoots, newborn wrap set, by Lil Miss Sweet Pea. 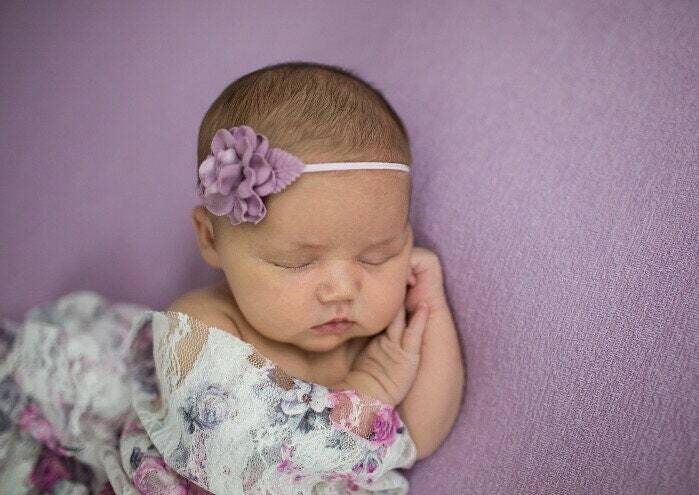 Headbands are made with our soft stretch 1/8 inch elastic for a comfortable fit. 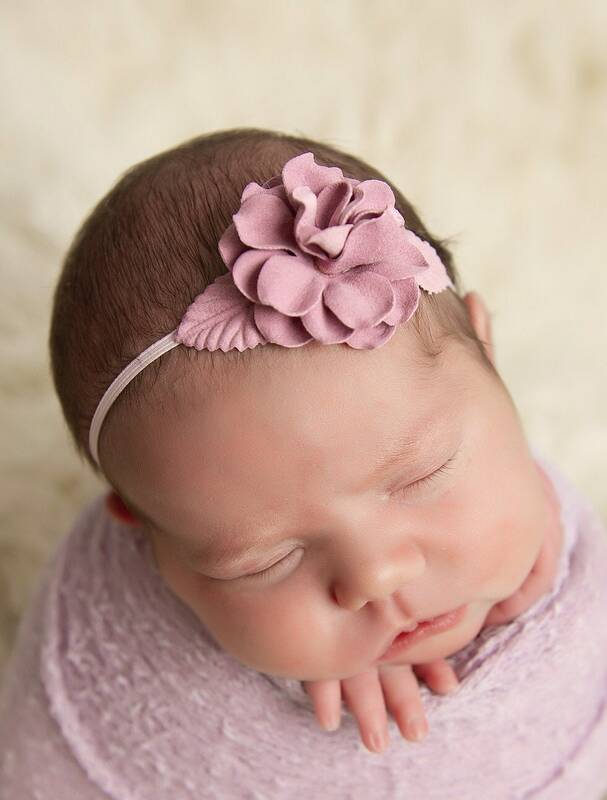 Newborn headband in the set measures 13 inches (0-6 month size) and the flower is approximately 1.5 inches. 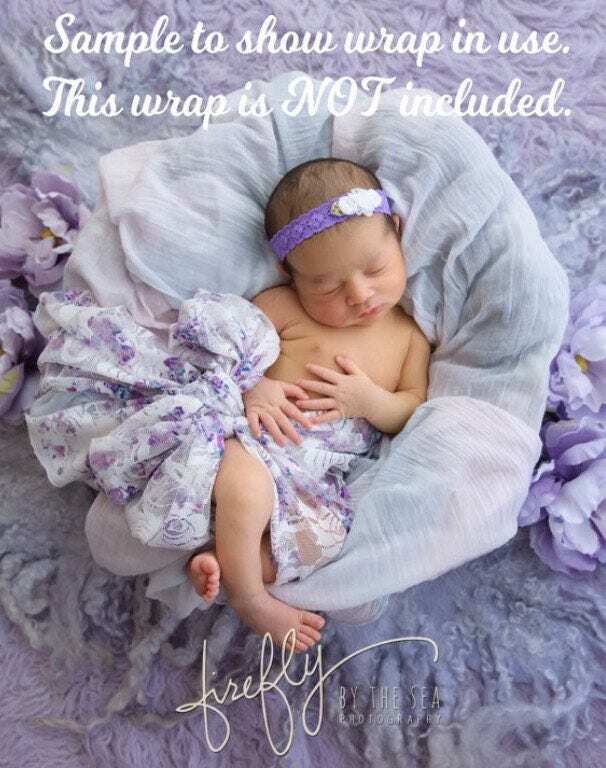 Love this set and can't wait to use it for my baby's newborn photos when she gets here!